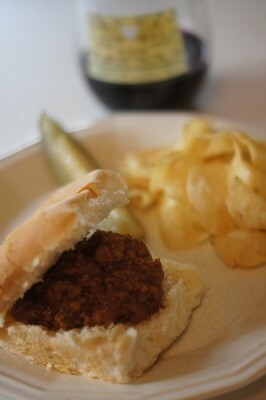 Sloppy Joes are one of my favorite comfort foods, and I'll bet one of yours, too. I grew up eating the icky stuff that comes in cans. This is much, much better. 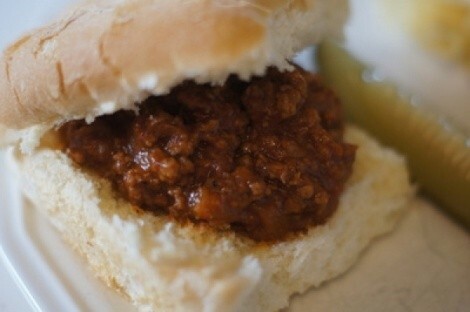 My Sloppy Joes are a tad on the spicy side, --- but you can adjust yours to whatever heat level you'd like. 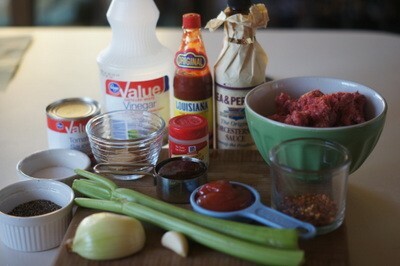 Don't be deterred by the number of ingredients. Once you have everything lined up, the actual cooking is quick and easy. 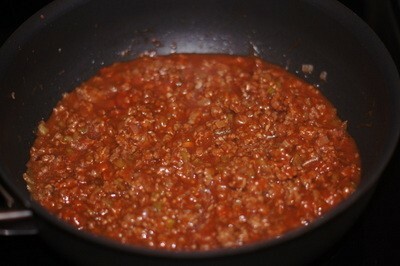 *Note: I like my Sloppy Joes to be pretty zesty. 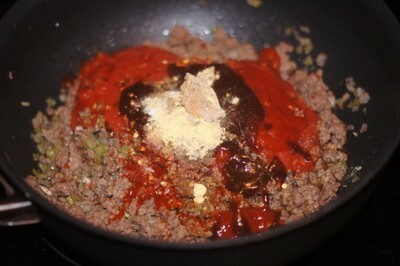 If you don't want the spiciness, you could omit the cayenne, chili flakes and hot sauce. 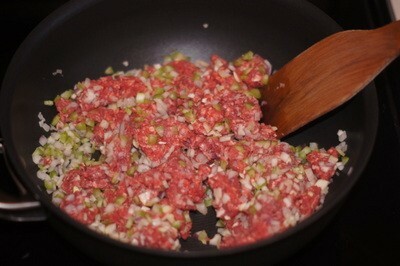 Over medium heat, cook the beef, onion, celery and garlic until the meat is browned. Drain the fat. 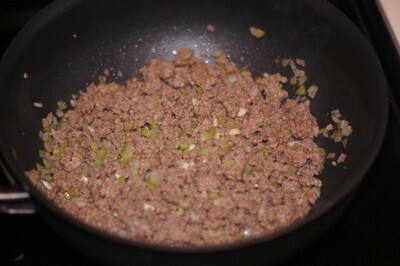 Add all the remaining ingredients, stir, and simmer over medium-low heat for 15 minutes or so, stirring occasionally. That's all there is to it! Serve on burger buns with your favorite sides, such as French fries, chips or au gratin potatoes. For my favorite au gratin potatoes recipe, click here.